Looks pretty cool. Doesn't really fit the aesthetic I'm going for with my Nighthaunts so I probably won't get them. I think I'd prefer to spend the same dosh on another 3 boxes of Hexwraith cavalry. Still it is a lot better than the metal version I think, but the metal version had slightly different lore attached to it. I do like the ghosts on the back. Have to say I prefer the old one. I am not keen on the "flying" style with streams of wispy stuff coming off. That is a nice looking piece. Funny, I just dragged out the metal kit from years ago and started to paint it. I finally have a use for it in a game. I sort of like the look of this version, but the older one can be used with so many different games. I am not keen on the "flying" style with streams of wispy stuff coming off. Well that is what you are going to get with GW current miniatures. Oh and I don't like it either. It's a good looking kit but I still much prefer my old metal one. I'll likely grab this just to have. Look at these brand new GW figures in the flying style with wispy stuff coming off. 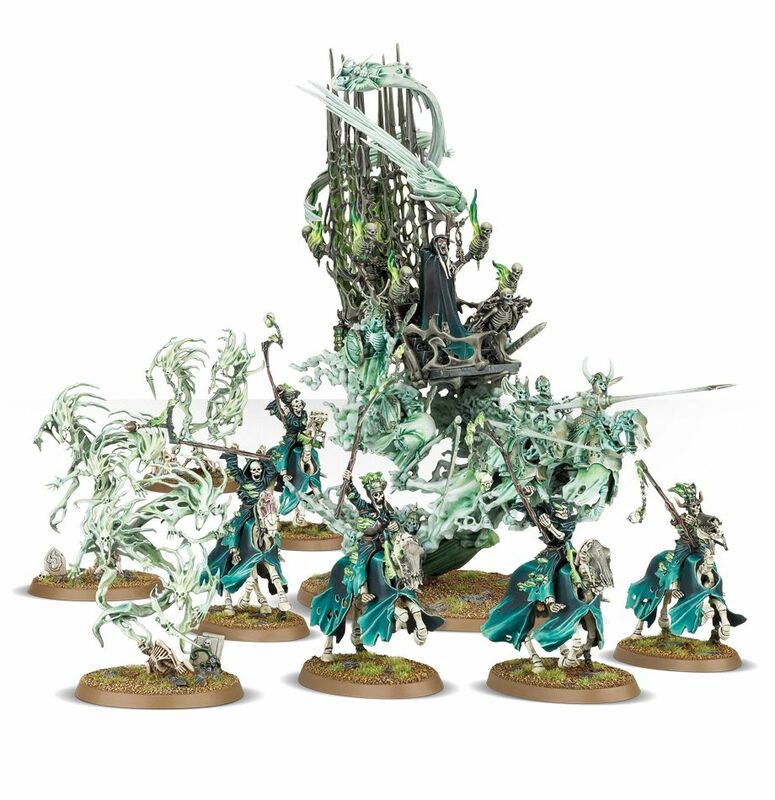 I confess I like the new nighthaunt models so much I'm actually thinking of getting into AoS after walking away from the game when they blew up the old world. They have one part of one faction that looks like that. You can even get undead without it. I'm with langobard, I really like them too. I had a few undead models in 5th edtion but haven't really had it grab my interest again until these nighthaunt came out. Now I have a fully painted army of them. What's no tot like about them? Are ghosts supposed to crawl on the ground? Is it that difficult to simply admit that those are the best ghost figures GW has ever done? BTW, Is it that difficult to simply admit that AoS flying figures are the best flying figures GW has ever done? Is it so difficult to imagine some people might not like the look? No But it is tough to argue that GWs current miniature all have wispy stuff flying off of them and are in the flying style as Mithmee said. I was surprised to learn that Mithmee did not like the new Nighthaunt models. 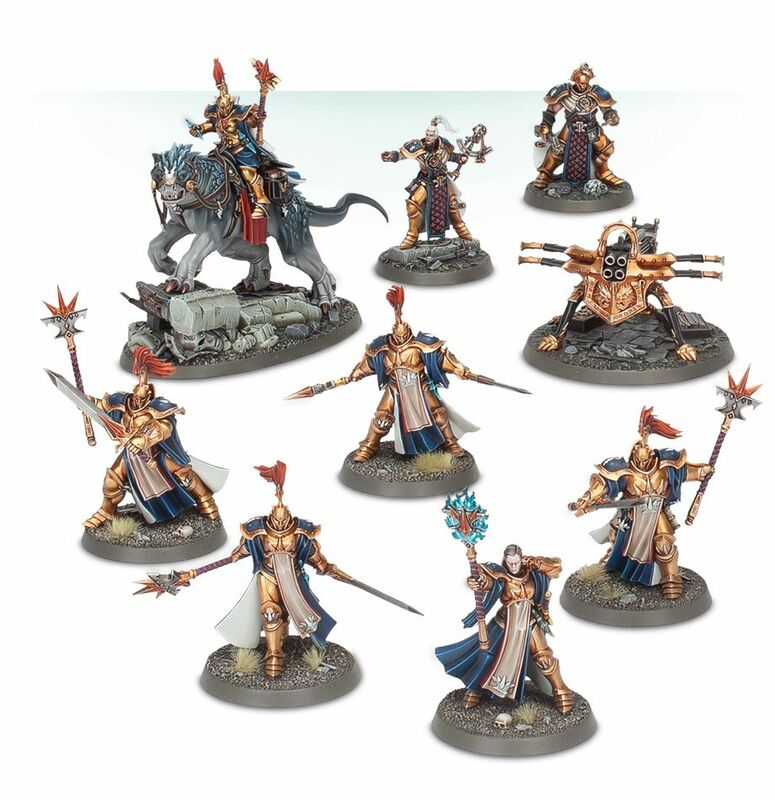 Age of Sigmar – I don't think there is anything that I like about it. Some I like others I don't. I'm not a big fan of alot of the new stuff. My wallet is happy. A lot of the new style is too fantasy sci fi and a lot is overly stylized. I don't know, I've always like that wispy effect. GW used it on the Nurgle Great Unclean One and I think it looks cool when it's done in a certain quantity and not overly used.